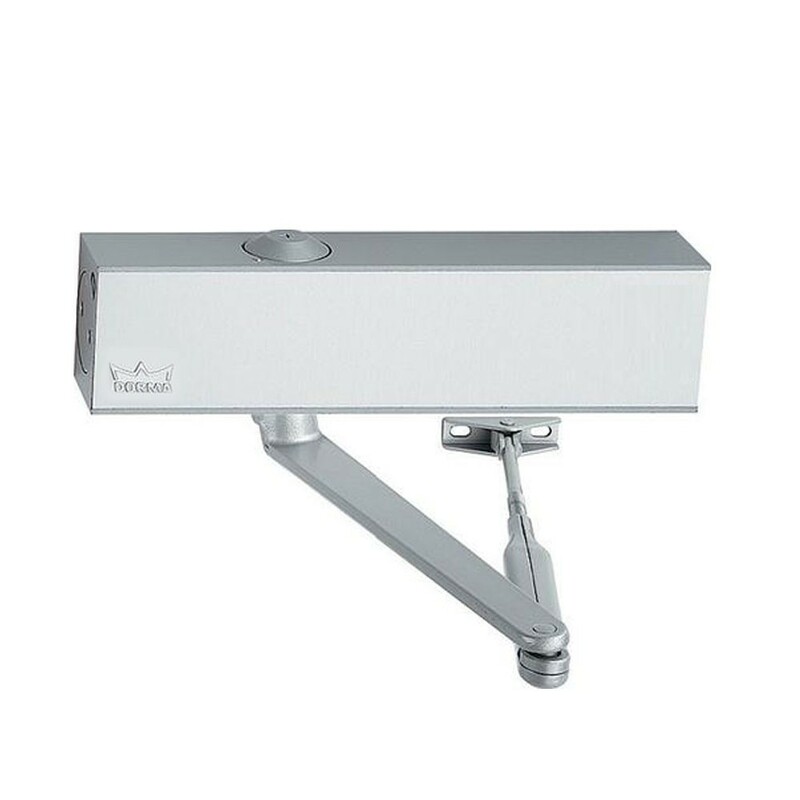 The Dorma Hold Open Device frame is a combination of hydraulic door closer and electromagnetic hold-open unit. In conjunction with a smoke detection system, the TS 73 EMF can be used as a hold-open system for fire and smoke check doors. The hold-open of the door is performed under electromagnetic control. In the event of a fire, the door is reliably closed by the integral hydraulic closer. The closing cycle is also initiated by manual door operation or automatically in the event of a power failure.